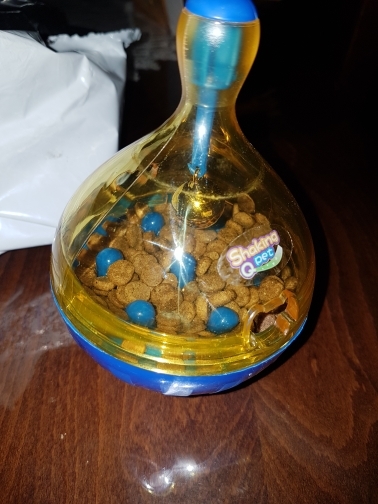 –SLOW FEEDING TOYS: when putting a portion of your dog’s meal in this toy,they will have no choice but only eat what is dispensed. They need to do more work and physical activity to eat food.This hard work is rewarded with food or treats once they come out of the toy. –INTERACTIVE WITH YOUR PET: visible transparent cover,dog easy to see inside the food,but can’t get it directly! Fill with your dog’s favorite treats or food and watch as your dog rolls the toy ball around trying to get the food out. 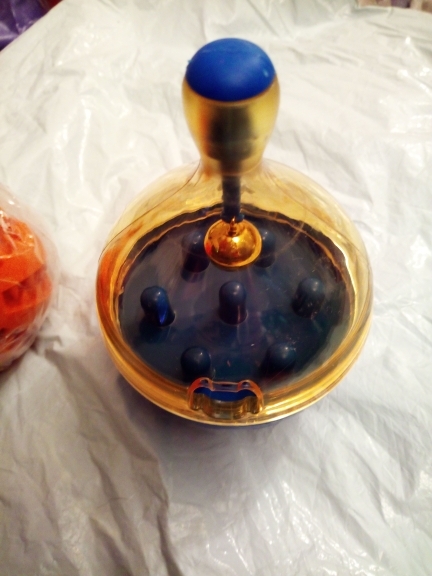 –SEPARATES FOR EASY CLEANING: the interactive toy ball easily unscrews to add food or treats,as well as to make cleaning simple. Hand wash each part with warm,sudsy water. Super fast delivery only a week to Indonesia!! Игрушка отличная, пришла хорошо упакованной, претензий к качеству нет. Our dog totally enjoys that toy ! Thank you ! Amazing toy, my dog loves it! High quality, fun for dogs to play and owners to watch. SMALL, SMALL, SMALL, SMALL, SMALL, SMALL, SMALL, SMALL,SMALL, SMALL, SMALL, SMALL, SMALL, SMALL, SMALL, SMALL, SMALL, SMALL, SMALL, SMALL, SMALL, SMALL, SMALL, SMALL, SMALL, SMALL, SMALL, SMALL, SMALL, SMALL, SMALL, SMALL. Item is very small, smaller than a tennis ball. The toy is funny but my dog, 5 months old, still does not understand how to play, barks for him …. Arrived in 2 months to Portugal, it took a long time. Ótimo produto, chegou no tempo acordado. Recomendo a todos. Доставлено очень быстро. Спасибо. Товар соответствует описанию. Perfect toy, my dog loves it. it’s the correct size. Quick shipment and arrival. it’s meant for small dogs. My lab broke it pretty quickly.